The Dark Titan Universe Saga is the primary series focused on the Dark Titan Universe. A shared universe of anthologies, mosaic novels, solo novels, collections, spin-offs, and more. Ranging from all three imprints (The Core, The Scattered, The Numinous), the Dark Titan Universe Saga originally began as a serial-fiction line of stories. After a creative change of structure, the series is now a book saga inspired by other book series such as The History of Middle-Earth and Wild Cards. To fantasy, science-fiction, horror, dark fantasy, paranormal, and many more genres of storytelling. The DTUS keeps its focus on the characters within the DTU such as The Swordman, Travis Vail, Doctor Dark, The Voltage, and among many, many others. With thirty stories in various lengths and genres, you will be introduced to such characters of the DTU. The Swordman, The Powerman, Nano Man, Commander Norland, The Beast, The Voltage, Cinderella, Travis Vail, Yonderers, Doctor Dark, and many more. The Swordman. The Powerman. Nano Man. Commander Norland. Theus. and The Unstoppable Beast. Witness the events that brought them together to form The Resistance. From their introductions to their own arcs, leading the way to the team-up of the Dark Titan Universe's core. The Resistance Protocol collects the first six stories of Dark Titan Knights, Hallow Sword: The Utopia Conspiracy, Chosen Son: Gods and Titans, The Nano Man: Wrath of the Thetan, Commander Norland: Sector of Darkness, The Unstoppable Beast: Being Hunted, and The Resistance: World's Prodigious Heroes. Unlike the Core of the Dark Titan Universe, the heroes, known as the Scattered do their part across the world. Facing the threats that connect them to others. From The Voltage to Terror to Doctor Fortune and among many others. They are scattered, solely to protect. Tales of the Scattered collects ten stories from the Scattered imprint of the Dark Titan Universe. Tales of the Numinous collects nine stories from the Numinous imprint of the Dark Titan Universe. Set after the events of The Resistance Protocol, Tales of the Scattered, and Tales of the Numinous, The Core heroes have went there separate ways, on about their invidual business. Yet, they will be united once more when a threat arises from another realm and even sooner when the rise of an artificial intelligent force known as Octagon sets out to transform the world into a land of only machine and digital. Day of Octagon features six stories from the Core imprint of the Dark Titan Universe and the Day of Octagon event story. Day of Octagon releases on June 21, 2019. Learn how Travis Vail became the Spirit-Seeker with this collection of stories detailing Vail's early days as an occult detective, leading the way to his confrontation with Kamagrauto. Vail's world was once small and simple. Now, it's complex and full of mystery. In a Glass of Dawn features ten stories. nine new stories of Vail's early investigations and the addition of The Abandoned Hotel story from Dark Titan Knights. 56 STORIES. THREE IMPRINTS. ONE UNIVERSE. From Dark Titan Knights to Hallow Sword to The Astonishing Voltage to Doctor Dark. 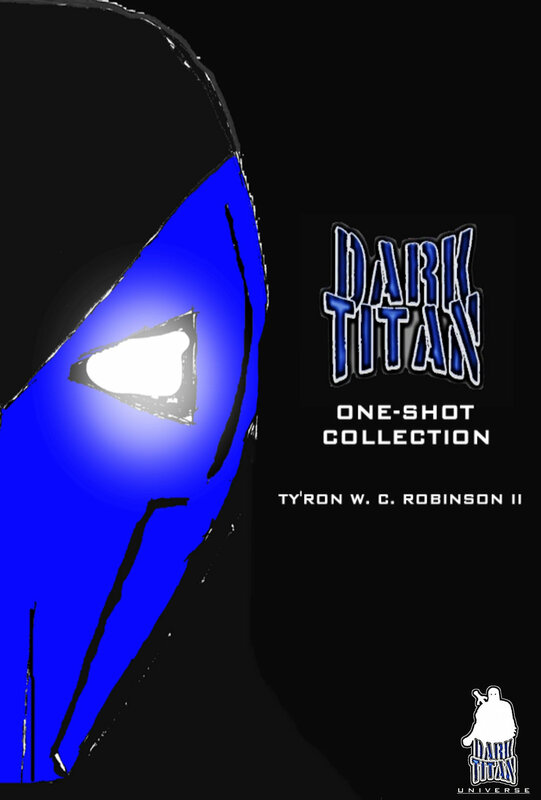 The first ultimate collection of the Dark Titan Universe. This collection is the first of many Dark Titan collections to come. An omnibus for readers of fantasy and science-fiction to book collectors. Also, a perfect book as a starting point for those new to the Dark Titan Universe. The Dark Titan One-Shots began as a plan of introducing characters into the Dark Titan Universe through means of flash fiction, short stories, and the like. Now, after four One-Shots have been released individually, a collection is made. This One-Shot collection features the first four stories of the One-Shot series exclusively as an e-book.